CM (Construction Management), GMP (Guaranteed Maximum Price) and MC (Managing Contractor) are different types of ECI engagement. The terms CM, GMP, MC and ECI are often confused and used interchangeably, even though they can mean quite different things. Under an early contractor involvement engagement, the contractor/construction manager is engaged for a fee, effectively for preliminaries, profit and overheads. At the time of entering into the contract, the actual cost of construction is unknown. This is typically because the design is yet to be finalised, or at least has not been priced. complete the project faster than otherwise be the case. ECI engagements can be construct only, or design & construct (or design completion & construct). Not sure whether ECI is right for you? The obvious difference between an ECI engagement and a lump sum form of contract is that, at the time the contractor/construction manager is engaged, the principal has less certainty about the likely final cost of the project (because trade/subcontractor pricing will not have been obtained). Under an ECI model, the principal is more reliant on its preferred contractor/construction manager behaving honestly. 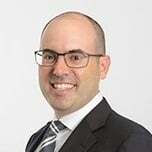 This is because the contractor/construction manager will oversee the subcontract tender process and provide budget and related advice without being under pressure from competing head contract tenderers. Indeed, this is one of the main trade-offs. Early contractor involvement models offer faster completion, subcontract transparency and early input from the builder. 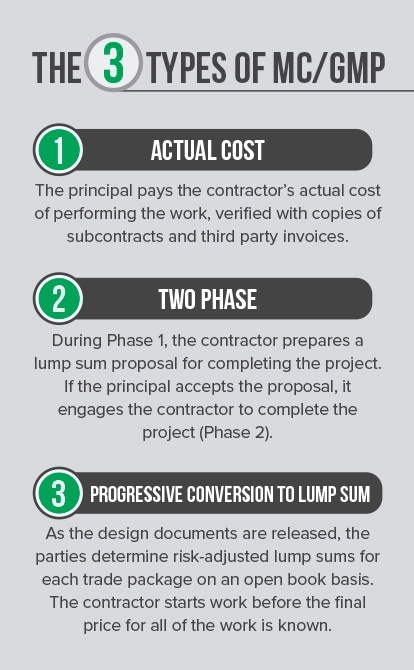 Lump sum contracts provide competitive pressure around price at the head contract level, greater certainty around price (assuming the project is well documented), but potentially less control once the project is underway. Whereas an ECI contractor is effectively engaged as a consultant to the principal (at least initially), a lump sum contractor will always be an arm's length contractor whose interests may not always align with those of the principal. The three types of ECI - CM, MC and GMP - are explained in more detail below. Traditional construction management is where the principal engages a construction manager to manage the construction on its behalf, as the principal's agent. The principal will often pay the trade contractors direct, based on recommendations made by the construction manager. The construction manager is paid a fee to manage the construction and provide preliminaries. If a trade contractor defaults, this will be at the principal’s risk. A typical form of construction management agreement is AS 4916, which you can read about here. Or, if you'd like to learn more about construction management contracts generally, click here. the construction manager/head contractor will typically be liable to the principal for the acts and omissions of the trade contractors. MC arrangements typically fall into two categories. The first is where the contractor is paid a fee plus the actual third party cost of the construction work. Under this arrangement, the contractor can be required to verify the actual third party cost of the work, and this remains the case throughout the project. The second is where the parties agree on a lump sum price for the contractor to perform the work as soon as a reasonably precise estimate is capable of being determined. This model has the advantage of reducing the administrative burden to both parties, while still preserving transparency for the principal during the subcontractor pricing process. individual trade packages are priced progressively, including allowances for risk items (eg associated works), and then aggregated to produce an overall lump sum. There is no standard form of contract for managing contractor, and different people use the term ‘managing contractor’ to mean different things. Principals will often use a modified form of AS 4000 or AS 2124 to document a managing contractor arrangement (or AS 4902 or AS 4300 if the intention is for the contractor to be responsible for the design). Often the contract will be accompanied by a bespoke form of formal instrument or ECI agreement to explain how the arrangement is intended to work. Some principals, including Government clients like Defence, develop their own bespoke form of managing contractor engagement. Like ‘managing contractor’, different people can mean different things when they refer to ‘GMP’. Most of the time though, a GMP contract is simply a managing contractor arrangement where the contractor is required to use its best efforts to ensure the overall contract price does not exceed a nominated dollar value. 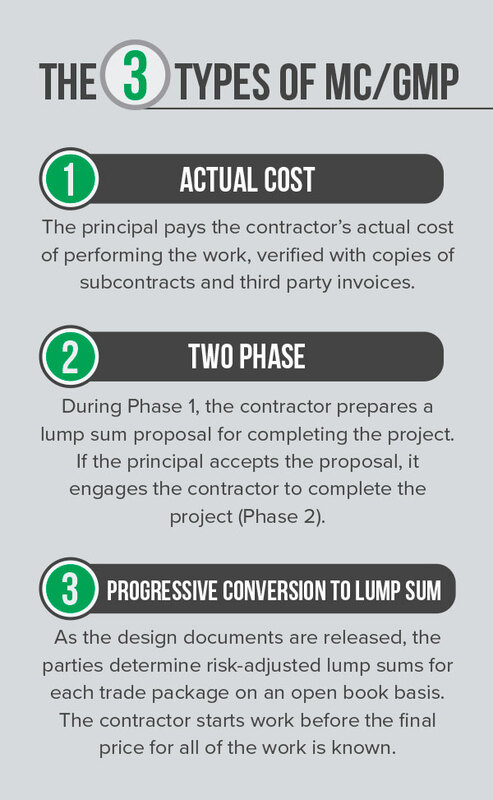 even once a lump sum price has been determined, the contract will often allow adjustments for client-directed variations and other specific events beyond the contractor’s control. (Latent conditions are a common example). As with any construction contract, the key to understanding the arrangement is to not be too concerned with the title of the document. Rather, your focus should be on the substantive terms of the document, and particularly on what the contractor will ultimately be paid. If you are thinking of engaging a contractor under an ECI arrangement, you will need to develop a form of construction contract that accurately captures your intent. As set out above, there are several different approaches you can choose from. Unfortunately there is no industry-recognised ECI standard, apart from AS 4916 construction management conditions of contract (which may or may not be suitable for your circumstances). Developing an appropriate form of contract for your project is an area where an experienced construction lawyer can help. Similarly, if you are a contractor and you are not familiar with ECI contracts, an experienced construction lawyer will be able to help you identify key risk areas and assist you in managing the process. Our contact details appear below and above, should you wish to contact us.